A Samsung's Galaxy Note 9 smartphone has reportedly caught fire in a woman's purse in New York. According to a report by The New York Post, the incident happened earlier this month and now the victim has filed a suit. According to the report, the woman claimed that the Samsung Galaxy Note 9 had gotten extremely hot while she was using it. She then went on to put it in her purse. Soon after that, she heard a weird noise from her bag which she described as "whistling and screeching" sounds. This was followed by thick smoke coming out of her handbag. The woman then tried to empty the contents of her purse on an elevator floor but to no avail. The smoke and sounds only stopped after a man picked up the phone with a piece of cloth and put it in a bucket full of water. The new incident re-surfaces the issues that Samsung Galaxy Note 7 owners faced two years ago. The device had to be discontinued within months of its launch. The main issue with the Note 7 was the battery unit. Samsung's initial response was to recall the devices and replace the battery packs. However, some devices that were marked safe also reported cases of fire. The company released a public apology for the same and stopped producing and supplying the Note 7. In the next cycle, Samsung released the Galaxy Note 8. However, this time around, they placed a much smaller battery with a capacity of 3300mAh. The company was trying to play safe but the device owners complained about considerably short battery back-up. 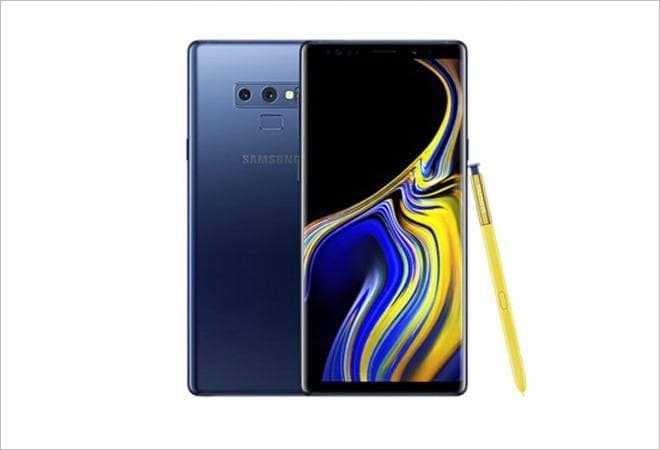 This year, Samsung launched the Galaxy Note 9 with a huge 4000mAh battery to keep up with the growing battery standards in the industry. To assure safety to the new buyers, Samsung's head of mobile business, DJ Koh cleared the air by saying that Note 9 batteries are safe and have undergone an 8-step test. In a statement, Samsung claimed that no other incidents related to the Galaxy Note 9 have been reported so far and the company is already investigating the matter. If Samsung's new Galaxy Note 9 suffers the same fate as Note 7, the company might have to consider discontinuing the entire line-up.